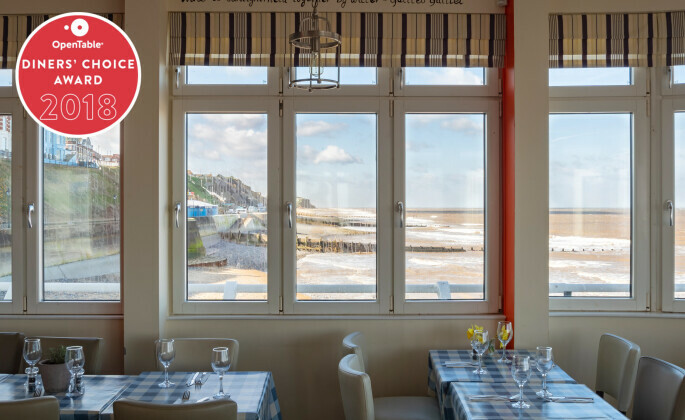 Tides Restaurant is a friendly, welcoming and unique venue to dine on the north Norfolk coast. 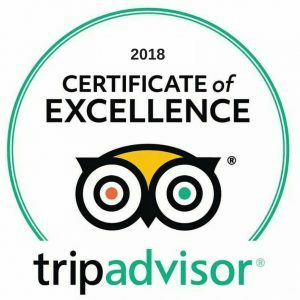 Recently awarded a five-star rating from the Food Standard Agency and the Diners Choice Award by OpenTable, Tides restaurant has a peaceful and tranquil ambiance whether you choose from our contemporary restaurant or al-fresco dining wrapped up warm on our superb quarterdeck. A great location for a romantic dinner for two, relaxing with pals or a dinner with the family. 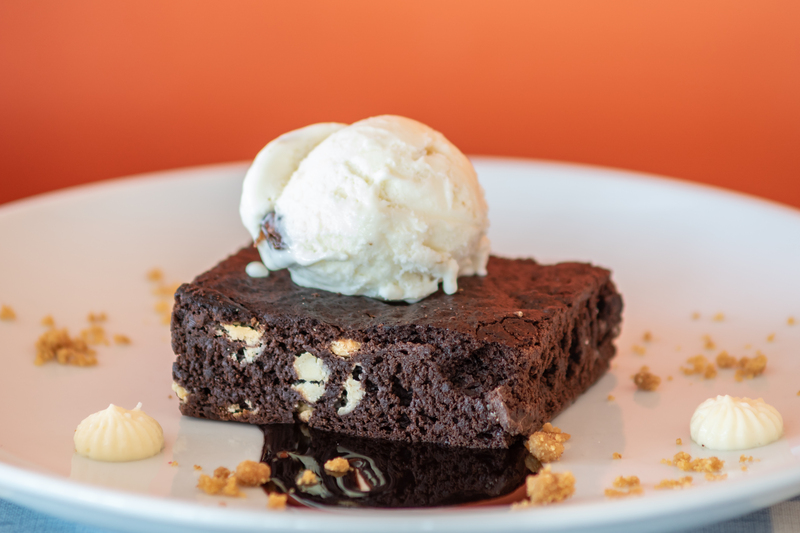 Enjoy Mediterranean treats like our selection of tapas or choose some tasty winter food such as traditional favourite, fish and chips followed by a choice of scrumptious desserts. 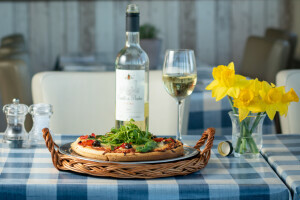 To accompany your dinner, we serve a full range of fine wines, bottled beers, soft drinks, teas and coffees. 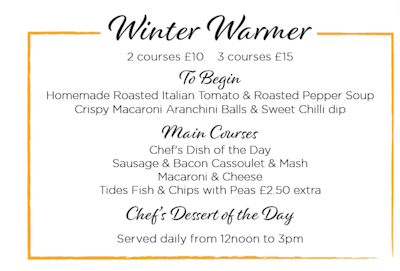 Warm yourself up from the chilly sea breeze with our brand new Winter Warmer lunch menu, available everyday from 12pm – 3pm. Don’t be disappointed, book a table in advance! To book a table there is no need to wait, use our convenient online reservation system 24 hours a day or call the team on 01263 511236. 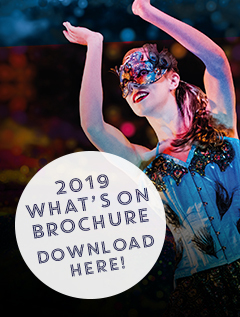 Open daily from 11am serving food all day until 7.30pm on show nights (last orders at 7pm) and until 4pm on non-show nights (last orders at 3.30pm) opening hours may be subject to change due to inclement weather conditions. 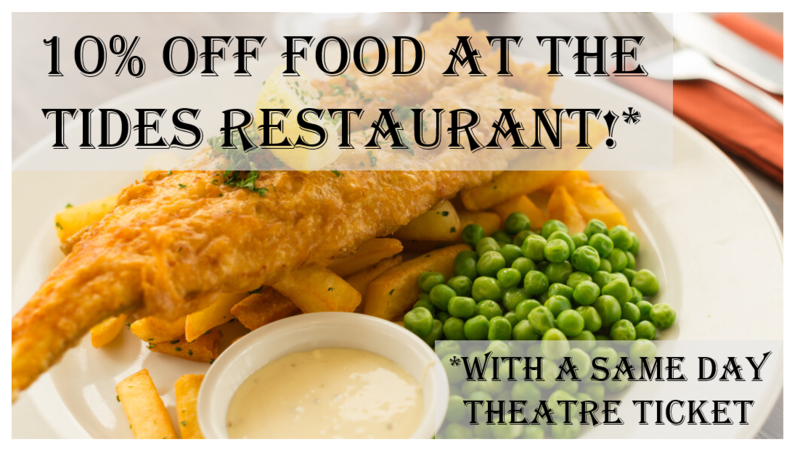 Planning to see a show at our Theatre then why not make an evening of it and treat yourself to dinner first. 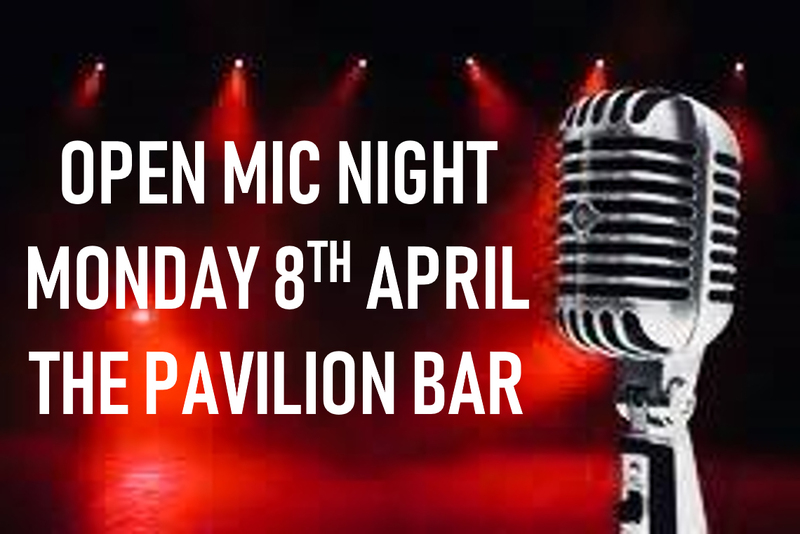 With our 10% discount offer, it makes for an affordable evening of GREAT food and GREAT entertainment. 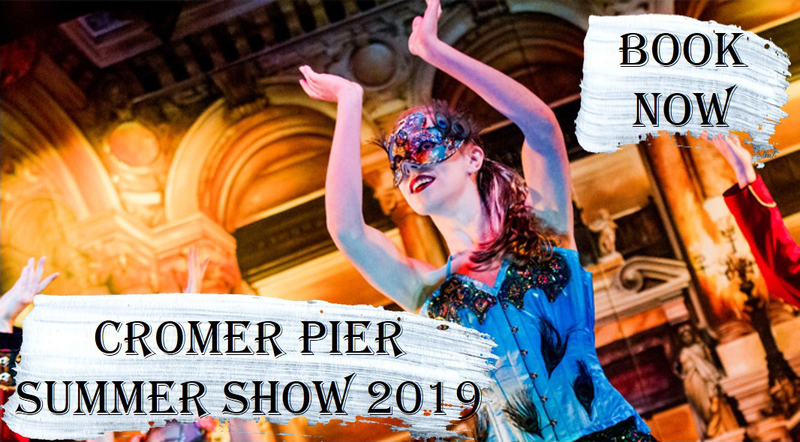 *10% offer only valid on day of show or concert corresponding to tickets after 5pm. You will need to show your ticket when paying for discount to be applied. Try a delicious pizza or a tasty chocolate brownie for dessert!